The new active core combines rigid and soft orthotic components. The soft materials cushion the step, while the rigid materials guide and support the foot where needed. The special shape of the core encourages the correct dynamic heel-to-toe movement of the foot. Pressure is relieved, both on the feet and on the entire musculoskeletal and locomotor system. The foot orthosis is optimally designed to meet the requirements of everyday working life. The effect of the orthopedic orthosis is particularly noticeable when spending long periods standing on hard surfaces or when carrying heavy loads. The orthotic system matches the fit of protective and safety work shoes. 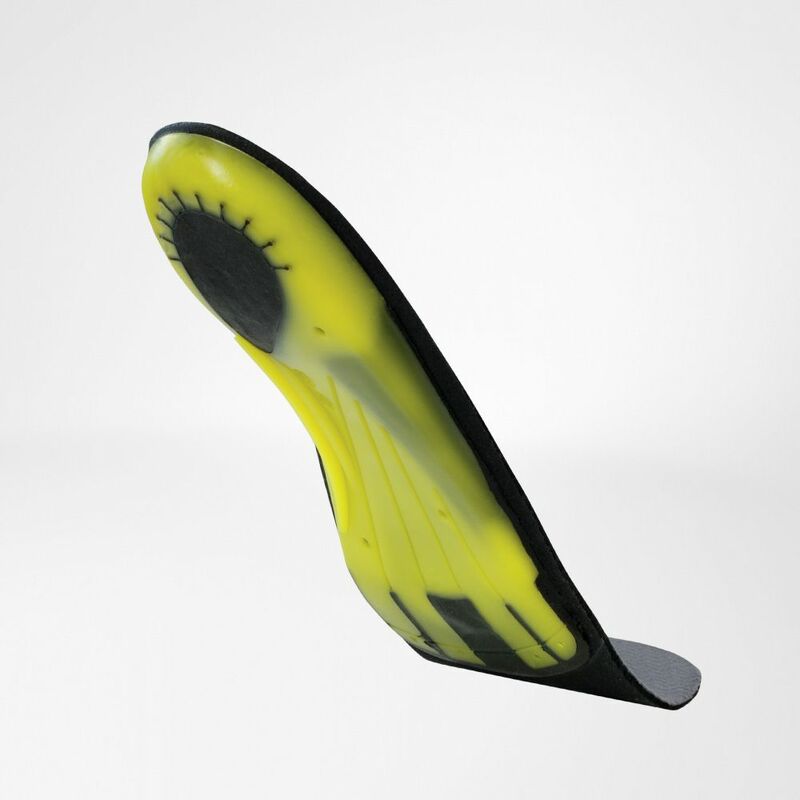 It can easily be fitted into these shoes, provided that they have a removable sole with a minimum thickness of 3-5 mm. Indications: Flat foot/splayfoot, Pes valgus, Mild and moderate severity of hollow foot, Talagia, Knee joint/back pain, depending on the severity of the foot, knee or back deformity.